With generally channel rate at 8 MHz, it is meets high quality video and audio transmission. The high quality video and audio has requirements not only to the camera, but also the coding stream and channel rate. Every subcarrier of the COFDM Technology can choose the high speed modulation of QPSK, 16QAM, etc. In general, the rate of the composite channel is 8MHz. 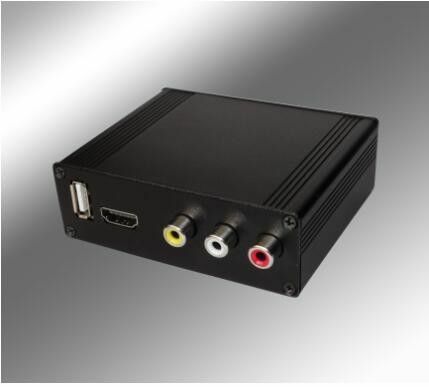 Therefore, H.264 high quality CODEC can be transmitted and the image resolution at the receiving terminal is up to 1920*1080P/60 with downward compatibility, which meets the requirements for post analysis, storage, and editing. The transmitter can work for a long time in high temperature environment, which avoid the phenomenon that common COFDM transmitter fails to work when the working temperature is above 60℃. It is widely applied in UAV (rescue, relief work, and forest fire prevention), emergency communication, radio and television broadcasting and rebroadcasting; single soldier reconnaissance for field forces; image transmission between the scout and command center for the public security, police and fire command car; high quality real-time image monitoring for border anti-smuggling, maritime and coastal defence, etc. ; real-time news collection/sports broadcasting of the wireless mobile camera vehicle groups; and long range full HD digital video transmission fields unsuitable or unable for wiring, such as the air reconnaissance and monitoring of helicopter and airship.